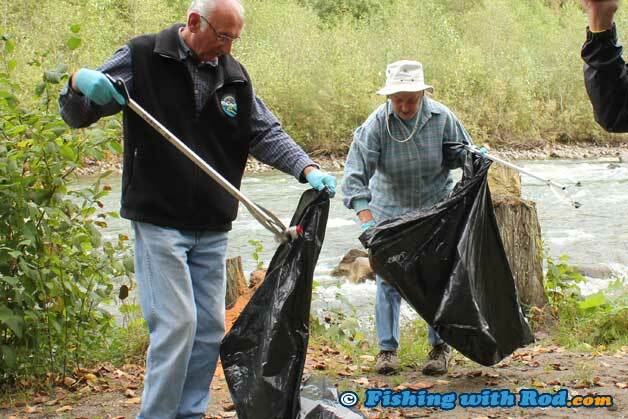 This will be Chilliwack Vedder River Cleanup Society's eleventh year. In 2011, a total of 462 volunteers participated in three cleanups, putting in 1,848 volunteer hours. Volunteers collected 7.14 tonnes of material, giving the society a total of 72.87 tonnes of garbage collected since 2002. Chilliwack/Vedder River is the most popular recreational corridor in British Columbia, but it is also an important watershed for fish and other wildlife. The abundance of salmon and steelhead provide enjoyment for tens of thousands of anglers each year so it is important for the angling community to give back during these three days. For more information and updates on the cleanups and other projects by Chilliwack Vedder River Cleanup Society, please visit their website.